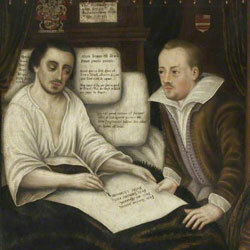 The early modern period (1500-1800) saw a surge in the keeping of records. 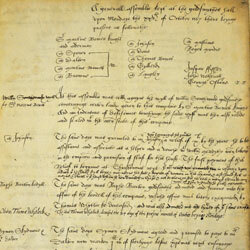 A conference later this week (9-10 April 2014) at the British Academy will look at the origins of the archives that shape our understanding of history. We asked ten of the speakers to tackle some fundamental questions. Record-keeping was a deeply political act: decisions about what was kept and what was destroyed can tell us a great deal about changing notions of legitimacy and political participation. Archives unlock doors to the past. For the past seven years historian Dr John-Paul Ghobrial has been in pursuit of an extraordinary traveller called Elias of Babylon. Elias lived in the 17th century and journeyed from his birthplace in Mosul (Iraq) across Europe and as far as Peru and Mexico. 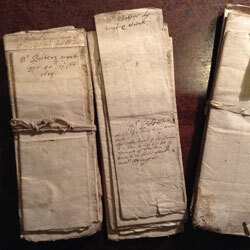 Ghobrial’s research on the trail of Elias has taken him to archives in Europe, the Middle East and South America, as he has pieced together the clues left behind by Elias during his global adventuring. Ghobrial, a specialist in the early modern period at Oxford University, is among the speakers addressing an international audience at a conference later this week (9-10 April 2014) at the British Academy. 'Transforming Information: Record Keeping in the Early Modern World' will look at the ways in which our understanding of the past has been shaped by archives. Ghobrial will talk about Eastern Christians who, like Elias, started new lives in Europe in the 17th century. 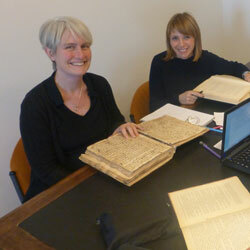 Many used their linguistic talents to work as archivists and copyists of Middle Eastern manuscripts. Convened by three Cambridge University historians, the two-day event will focus on an era that saw an explosion in record keeping as a result of a growth in literacy, burgeoning bureaucracy and advances in technology. In many respects, there are parallels between this transformation and the information revolution taking place today as a result of digitisation. Speakers from Europe and the USA will share their expertise in fields as diverse as French feudal records, information gathering in early modern Japan, and the use and misuse of papers at the epicentre of the Spanish empire. The sessions will consider from multiple viewpoints how, and just as importantly why, the archives that underpin much of historical research came into being. Professor Alexandra Walsham, who is organising the conference with colleagues Dr Kate Peters and Liesbeth Corens, said: “When we examine an archive today in a library or online, we are seeing it stripped of the context that is so important to its meaning and significance. The creation, organisation, preservation and destruction of archives are never neutral or impartial activities: they reflects a society’s fundamental preoccupations and priorities. We asked ten of the conference participants to answer some key questions about archives with particular reference to the period 1500 to 1800. 1. 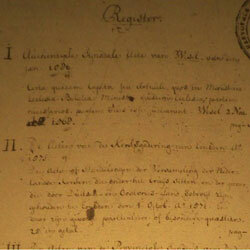 What constitutes an archive in the early modern period? Today, we think of archives as repositories of sources for the use of modern historians. But they originated as working tools of organisations (large or small) that produced large amounts of documents in the course of their activities. In the early modern period, many institutions showed an increasing awareness of the importance of preserving those records as information (about something: for example, population size) or proof (of, and often against, something: for example, territorial boundaries). Far from neutral collections, they were instruments of conflict. As for their aspect and arrangement, think of cabinets, with chests and drawers – the word archive comes from the Latin arca, for box – but bags were also common. They were stacked at the back of offices with secretaries writing at their desks, and they increasingly occupied separate rooms; replete with documents bound or simply bundled together, they stretched back decades and even centuries. 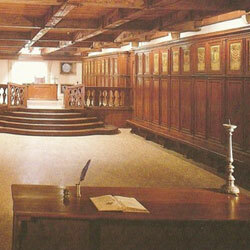 Some were neat and tidy, as indicated by this picture of the Venetian chancery – but others must have been decidedly messier, and we know that many different kinds of people went to archives to find out about legal precedents, fiscal duties, property rights, and so on: archives were full with people as much as papers. 2. How is our understanding of history shaped by archives? In the early 19th century archives began to acquire a privileged status among the new academic historians; they were seen to offer the most direct access to voices from past centuries. For all the opportunities that archives offer, they structure and limit our understanding of the past. Consider the decision of what records to keep and what to set aside. 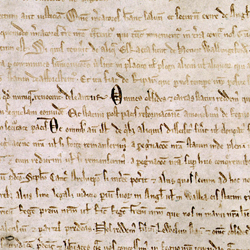 From the Middle Ages, archives were established by political or religious institutions, whose officials aimed to preserve the authority of those institutions. Thus evidence in archives is not simply descriptive of the past, but prescriptive of how a people understood their present and wanted later generations to understand the past. One result is a privileging of male voices with the result that religion and politics look more male-dominated to us today than they may have been. Similarly, because state and church officials recorded and preserved records of their activities from their own perspective, historians have sometimes overemphasized the importance of centralised states and official churches in the pre-modern era, or have treated as marginal those people who those officials wanted to treat as marginal (so-called heretics or rebels). The actions of pre-modern record keepers have sometimes led historians to focus too much attention on kings, princes, magistrates, and clergy, and too little on the people who ignored, flaunted, deceived or skirted the attention of those institutions. By their very nature, archives align themselves with a side in past conflicts; and when historians use archives as representations of the past without considering the voices they intentionally excluded, they often inadvertently do much the same thing. 3. How are archives created? Archives grow and develop over time. They are the creation, not of a single person, but of a long succession of clerks, secretaries, archivists and curators who have reshaped and reorganised them. As a curator myself, I’m intrigued by the ways that the physical organisation of archives can affect – and sometimes obstruct – their use by historians. As the old saying goes: where do you hide a leaf? In a forest. Where do you hide a document? In an archive. 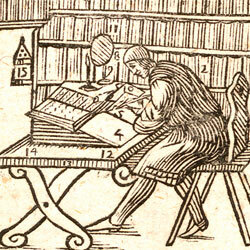 The archives held at the British Library have often been rearranged in the course of cataloguing. Sometimes this is inevitable. If an archive arrives in a suitcase, two cardboard boxes and a carrier bag, what do you do? You have to create some sort of order out of chaos. But by imposing ‘order’ on the archive we also impose meaning and interpretation. Until quite recently we used to organise correspondence according to a system that reflected (probably unconsciously) the British class structure: ‘Royal Correspondence’ (the royal family), ‘Special Correspondence’ (the great and the good), and ‘General Correspondence’ (everybody else). Nowadays we organise it by ‘fonds’ and ‘sub-fonds’, but in 100 years’ time I daresay this system will seem equally quaint and arbitrary and our successors will wonder why we adopted it. I’ve been trying to reconstruct some of the ways that early modern archives were originally organised – not an easy task, when the contents of the archives have been shuffled and reshuffled over the centuries. Secretaries played a crucial role in the making and storing of written records, but they are often shadowy figures whose intermediary role is only visible to us in the notes or ‘endorsements’ that they scribbled on the backs of letters as they filed them away. I want to bring these ‘invisible technicians’ to the centre of attention. 4. Why were some records kept and others lost – and what can we learn from the gaps, silences and absences? Most records were kept for the administrative purposes of the creating institution; the majority recorded transactions that either confirmed or exercised authority, or transferred resources. State records, and their keepers, therefore played an important role in the projection and maintenance of political power. My research explores this in the context of the political upheavals of the English civil wars. The collapsing authority of the Stuart monarchy is evident in the desperate attempts of Thomas Wilson, keeper of the State Paper Office, to control what was in his record office, and who could see it. Records considered ‘disadvantageous’ to the king were destroyed or locked away. Parliamentary regimes in their turn asserted their authority through record-keeping, establishing statutory provision to access the king’s papers, and prohibiting the removal of records from London because it would be prejudicial to the estates of his subjects. Records of the hated prerogative courts were destroyed. Parliamentary ordinances established registers of all estates and monies seized; by 1649, Levellers were calling for county record offices. Over the course of the English revolution state record keeping was transformed from a system by which the king’s authority was maintained, to one by which the rights of subjects, and later citizens, were asserted. 5. What can we learn about (and from) the organisation of archives? How an archive is organised helps us understand when, how, and by whom it was used. My research focuses on the Confucian knowledge systems of early-modern Japan. 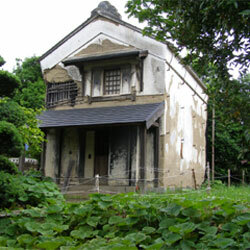 Confucian discourse and correspondence at that time linked senior shogunal officials with the outside world, but also with simple village teachers. So writings of shogunal retainers, for instance, regularly turn up in forgotten archives of private figures of little status in peripheral areas. After kicking in the door of an old rice store (kura) housing a rich, forgotten private archive in northern Japan last year, the first thing a colleague did was to take photographs of how that room had looked (and been organised) when it was sealed 200 years ago. This helps to understand how, and by whom, the archive had been used. Every archive has its own story. Archives of states are particularly interesting. For instance, the fact that military intelligence records are kept with anthropological or ethnological materials in academic archives of the Tokugawa Shogunate (1603-1868) indicates how that regime used such material. Short commentaries in vernacular language attached to each foreign (Chinese, Manchu, Dutch) document suggest this archive was created for the less educated but hereditarily more senior liege lords who were making real decisions about foreign relations. How different thematic folios were organised gives us an insight into the perceptions of the original compiler, but also of his state employer, and about issues of academic practice, civilisational categorisation (whether a country or culture was seen as ‘civilised’, ‘barbarian’ or something in between), and the use of information during this time of rapid global transformation. 6. What archives are you using in your current research? I am currently working with the records of the London Goldsmiths’ Company. 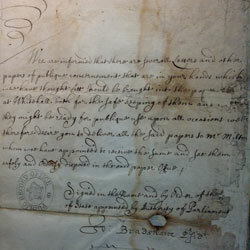 The Company kept extensive records that cover every aspect of corporate life in the early modern period, from the regulation of trade and the assessment of skill, to the arbitration of personal disputes between goldsmiths and their friends, colleagues, and neighbours. The Company court minutes provide a rich source of information about the everyday activities and interactions of goldsmiths at all levels of the Company hierarchy. This detailed information allows us to reconstruct the personal and professional ties that bound company members together, and gave them a sense of communal and occupational identity, in the early modern period. These Goldsmiths’ records were written by the Company clerk, who was also responsible for their safekeeping: the court books were kept locked in a chest in the clerk’s room in Company Hall, and nobody could access them without his permission. The clerk occupied a unique position in the Company, both participating in and commenting on the practices and rituals of corporate life. These records may therefore be read not only as documentary evidence of official business, but as creative texts that reflect the personal concerns and habits of the clerks who wrote them. As such, the Company records highlight important intersections between the literary, social, and corporate spheres of early modern London. 7. What particular challenges do archives present to you as a researcher? One of the main challenges (but also delights) about research in archives is that they were and are precious to people. The sense of responsibility to protect the memory of past communities and individuals has motivated the creation, selection, and censoring of record collections across the centuries. This makes analysing an archive and its development revealing, as the motivations behind archives give us insights into the preoccupations of past communities. But sometimes the records are of such value – emotionally and materially – that access to them is restricted. In my research on English Catholics, I often handle documents which are to me interesting glimpses of past communities but for many Catholics are sacred relics and part of devotional cultures. These written relics are an explicit illustration of a much wider process in which records have significance other than mere records of past actions. These sensitivities have shaped what has been passed down across generations and how it is understood. Keepers protect both the materiality and interpretation of the records in their care: the fragility of records sometimes means they are not open for research or some elements of ancestors’ less virtuous past are not shown very easily. The negotiations between protecting and analysing the past are fascinating to study and a challenging but rewarding exercise. 8. What is the relationship between private and public record-keeping? There are lots of similarities between how public records and private evidences and personal papers were stored in early modern England, in terms of bags, boxes, chests, bundles, files, drawers, and labels. Archival principles of arrangement didn't exist - antiquarians and others complained about how disorganized and dirty and mouse-eaten the public records were, and then other people went in and tried to clean them up and make sense of them, and then other people borrowed them and neglected to return them, and then other people got frustrated and tried to have them returned, to no avail! Clerks and keepers were torn between keeping up with the vast amount of documentation being produced on a daily basis by a wide range of bureaucratic entities, and dealing with an overwhelming backlog - the same challenge that faces archivists today. The private papers, or muniments, of England's landed gentry, were typically easier to keep under control. Property deeds were arranged by county, and each property might be "defended" with centuries'-worth of deeds, in case ownership was ever contested. Bills and receipts were often bundled together, and large account books and pedigrees maintained and saved. Different families saved other kinds of personal documents in a range of ways. Some people saved their correspondence and personal papers, for example, or copied their letters into letter books and discarded the originals, while others burned or recycled them. Unless you came from a family with a long history in a single home with a "muniment" room, the chances of your papers surviving were pretty slim. 9. How can we best facilitate access to archives? Access to archives is a complex thing. When digitisation started coming in, it was widely seen as 'democratising the archive', and obviously, if something is digitised and available online, it massively increases access for those who might live hundreds or even thousands of miles away. But what happens if that digitised document is in medieval Latin? Digitising it doesn't improve 'access' at all for most people: they can't read the handwriting and even if they could, they can't understand the language. So some things that look like an easy fix, aren't. And though digitisation is great for standard series like the census, putting material online can take the document out of context. Good cataloguing is in my opinion hugely important in opening up for others the potential treasure that might lie waiting to be uncovered within an archive. And access to the physical archive remains important - most people still get a huge thrill from having the original record in their own hands, feeling that there is nothing to beat the touch (and sometimes the smell) of the real thing. But access to archives can only happen if there are archives to access - so the best way to facilitate access to archives is to value archivists, and their work. 10. What has been your most memorable or frustrating ‘archive moment’? My most frustrating archive moment occurred after the publication of my first book: Virgins of Venice: Enclosed Lives and Broken Vows in the Renaissance Convent. I wanted to embark on a new project in an unfamiliar Italian city, and so I decided to spend a month in Parma in Northern Italy looking at what appeared from the archive catalogue to be an extensive collection of early modern criminal records. On day one I was told that these records were invisibili (literally invisible, or unseeable, though I think this was an archivist's euphemism for 'mislaid'). Resolution: never again shall I broach a new archive without corresponding first with the staff. More positively, I reckon my most memorable archive moment is about to happen. Yesterday I flew to central Italy with eight colleagues. We’re working on an ERC-funded collaborative project based in Cambridge: 'Domestic Devotions: The Place of Piety in the Renaissance Italian Home'. Our intention is to make a collective assault on the archives of the Marche. For the first time in my life this means that I'll be working alongside colleagues in a shared endeavour. Any problems with the palaeography? I'll ask one of the post-docs. Unsure what that devotional object was used for? My PhD student will know for sure. It's going to be bliss.